Rockwell Collins and Stellar are jointly developing a suite of integrated, cloud-based applications, as a successor to Rockwell Collins' ARINCDirectSM Flight Operations System (FOS®). The next generation solution has a modern architecture, intuitive and easy-to-use web interface and new features. The first set of cloud-based modules provides powerful capabilities for quoting, trip planning and reporting. 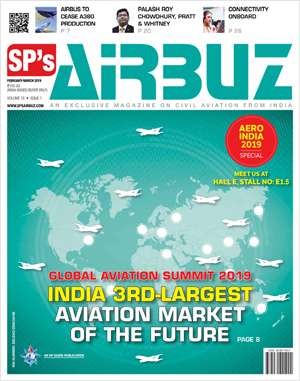 "Building upon the success of both Rockwell Collins' ARINCDirect FOS and Stellar's cloud-based applications, operators can expect to have all the functionalities of scheduling at their fingertips, on one mobile device versus several hardwired systems," said David Poltorak, vice president, Business and Government Aviation for Rockwell Collins. "Providing these new capabilities to our customers is just one way we are enhancing the user experience for ease, organization and smoother back-end operations." "Stellar is taking another big step in transforming the business aviation industry," said Stellar CEO David Fox. "Following the introduction of Stellar Cloud earlier this year, the launch of the next generation of FOS brings a powerful, web-based solution for flight operations management to an industry that badly needs it." The quoting feature is available now to U.S.-based operators who currently use FOS in the Stellar Cloud. The trip planning tool will become available to Stellar's beta customers starting in November. The reporting and analytics tool will become available in November.